Paws On The Pavement is one of Noah’s Ark Society’s most exciting fundraising concepts! By partnering with local consignment boutiques, My Sister’s Closet & Free Beer Men’s Consignment, Noah’s Ark Society essentially sells designer clothing for dollar deals in a giant tent sale with 100% of the proceeds going directly to Noah’s Ark Society. 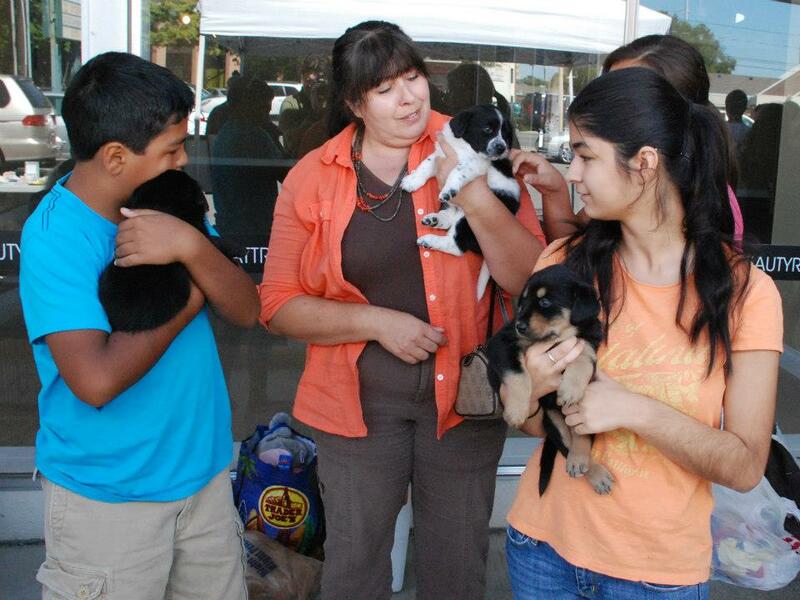 Our Paws On The Pavement events also serve as some of our most popular adoption events often highlighting one or more animal in our care with a particularly compelling back story! While these fundraisers happen regularly, we like to treat them like pop-up sales around Nashville to keep them fresh and allow us to schedule around our animals’ needs! Make sure to follow us on Facebook as well as our email list to stay in the loop for our next “Paws On The Pavement” sale! Noah’s Ark Society believes that a proactive approach to placing animals into new homes is the only way to go! That’s why we like to host at least 2 adoption events per month. These events always involve getting the animals in our care out into the fresh air to meet as many new people as they can. Our events often feature, food, music, and lively story-swapping.—We know that animal rescue groups can easily get the reputation of being a regular sobfest, so we want to make sure that you get to enjoy the process of falling in love with your new family member and have fantastic memories of that first time you saw that tail wag! Last year, we gave almost $35,000 directly to organizations like yours through the Partners for Pets Program – want a piece of the pie? It’s simple, share our promos like the exclusive Facebook sale below, get your supporters to enter code ADOPT at checkout on bissell.com and select your org., and earn $$$. FIRST CHANCE STARTS JAN. 22 @ 9 a.m.
Our first exclusive Facebook sale of the new year starts Jan. 22 – We’re offering a BISSELL SpotBot® ProHeat® Deep Cleaner for ONLY $69.99 from $149.99, plus FREE shipping – AND your org. can get $25 for each one purchased! Enjoy hands-free pet stain removal with the push of a button! Check it out here. Share, share, share and you’ll be on your way to raising easy money! Don’t forget, supporters have to enter code ADOPT at checkout and choose your org. If you haven’t already, LIKE our page today and never miss these exclusive Facebook sales.